How much fun you'll find your next bath! Our little Swedish elf will bubble all of your troubles away, as long as you promise to be good. The magical fragrances of the elf soap delights bathers, young and old alike. Made from natural ingredients, vegetable oil based, and not tested on animals. 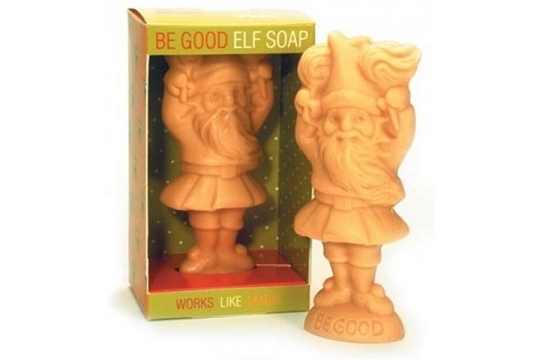 Each soapy elf measures about 5 inches high and weighs 2.75 ounces. We're showing two bars of soap - inside and outside the box.